Just a few hours and the 2014 says bye bye~ ∩(>◡<*)∩I am very happy to write this post for you as it makes working days in this video review. My last post of this year "Korean Beauty Favorites 2014 ♥ " I hope you enjoy this video I did with much love for my sweet readers. Btw I must say that are my favorites but I need mention that are my most frequently used products too. 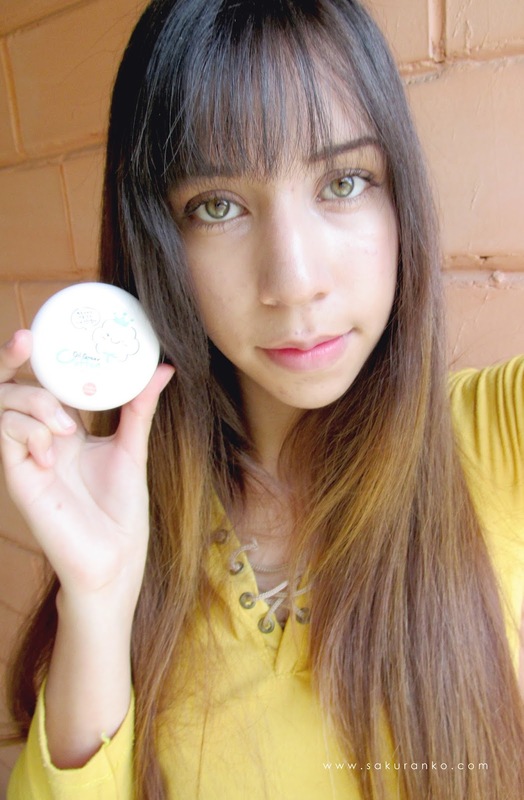 I can´t say that something is my fav if I never use the product. +:｡(´ω｀*)ﾟ. I hope you enjoyed this post! The last month of the year just a few days for a new year with an new post about an outfit, （〜^∇^)〜 This time my coordinate is very simple and confortable too. 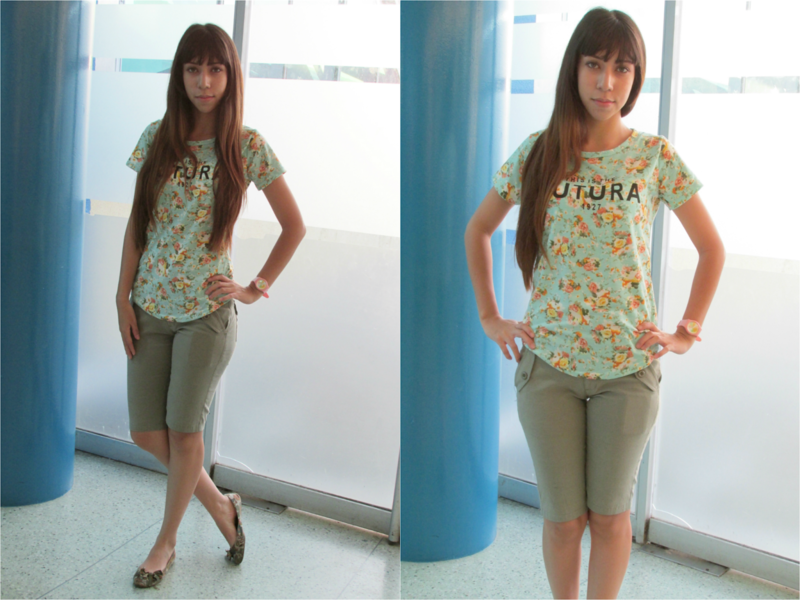 I love it this T-shirt I wanted a floral t-shirt since the floral become popular on this year. And yeah that in my pocket is my phone (・∀・) But well I love it this coordinate because iscomfy and pretty. Btw I feel good now, the pain is gone and now I´m free of my wisdom teeth. How have spent your holidays? Now I´m better and well is now for a great review (*^▽^*) I love it this review for two reasons, the first I love it the product, and second I recorded a video a more longer of usual talking about this product yesterday~ And well today I´m making the review. Because I need use very well my time -(๑☆‿ ☆#)ᕗ Because after the holidays I have finals on my College and well I don´t want think about that because is depressing I need start of study all the week after New Year`~ That means my first week of year 2015 I´ll be study, very depressing. 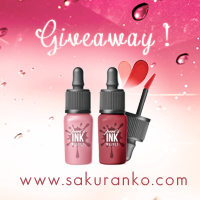 Let´s go with this review! This month I received from Jolse this product called the A-TRUE Starter Kit. This Kit contains several products from this brand with the purpose to know better this new Korean Brand. Well is obvious that this brand is new because I´m not talking about Innisfree or Etude House this new brand is called A-True and well the store Jolse is promoting the brand too. I received this for review purposes but rmember that all the opinions are based on my own experience with ths product. A bit dense with floral chemical scent. ＼（＾▽＾）／Here is my video review talking about this product. 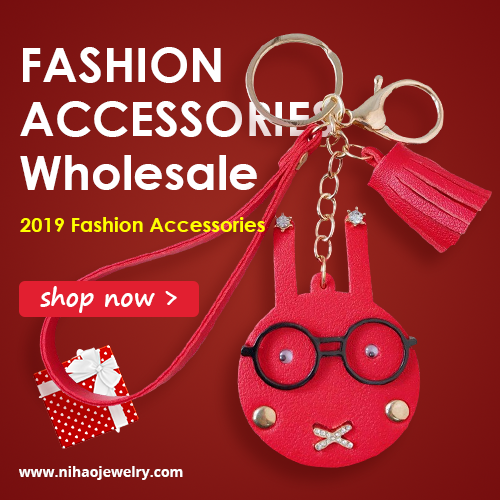 - You can try many different products from this brand. - You can use three very nice products. - Contains a delicious tea. - The price is cheap. (ノ＞▽＜。)ノ I loveit this cute Kit~ Because has so many different product ofthis brand and well this is a high Korean Brand so that is great. 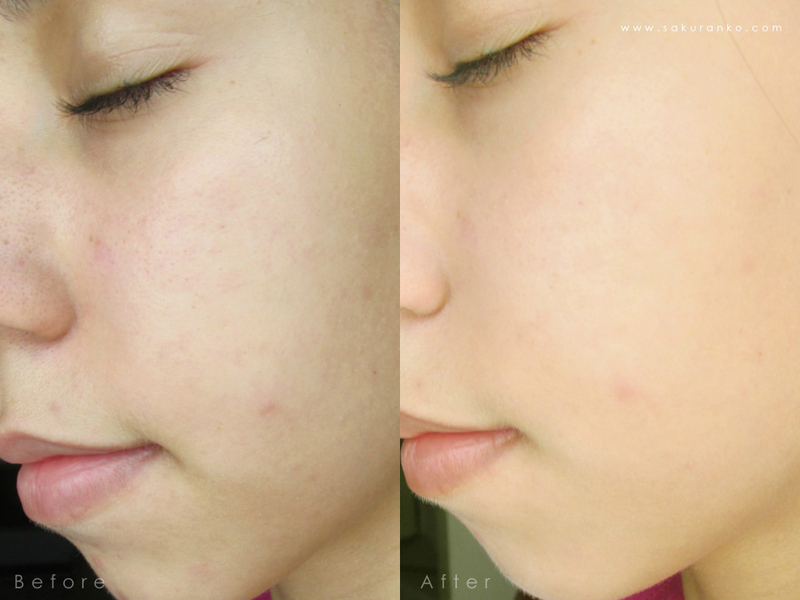 The best is that you can see how reacts your skin to this new products. I´m very happy with the White Snow Tea Brilliant Essence becuase leaves my skin soft and pretty. I really want the Sweet Song Black Tea One-step Cleansing Water because is so gentle with my skin and removes even the more stronge waterproof makeup and the best doesn´t irritate my skin. The price for this Kiw is just $25 USD with free shipping and well I think that is a great price for so many great samples. Obviously I need try the mini samples and I´ll be sharing my opinions trough my Instagram but I´m very happy with this kit. And I recommend 100% this cute A-TRUE Starter Kit. My best wishes for Everyone! This is me after a week after my surgery (Was removed my wisdom teeth) my face is a bit just a bit swollen but I feel better so I´m very happy. (=´∀｀)人(´∀｀=) A BIG THANKS to my MOM her support was amazing in all this process. Was a big hard for the pain and the swollen face. Oh my God today is Christmas! Today is my second day of post-operatory of the surgery for the remove my wisdom teeth. (♡ﾉ ´ 〇｀)ﾉ I want to make this review since I long time but well I always busy and more busy. I love it this product is one of my favorites and that is because is cheap but works great on my skin. Btw I bought this product with my own money this is not a sponsored review. ♚ Packaging: The product has a very cute box with a cotton ball very pretty with the name of product in front, the design is the same on the box and on the compact itself. ♚ Texture + Formula + Color: The texture is very fine is even more fine than the TONYMOLY Dear Me Petite Cotton Pact the formula is nice is amazing for oily skin because this controls very well the sebum on my skin. The problem with the color is that has only one shade and is white semi-translucid that means if you apply to much you can looks like a ghost. Second this doesn´t works on anothers shades that aren´t not very pale. Thanks to heaven my skin is very light for use this shade. ╰(*´︶`*)╯♡ The coverage is medium and I love it! - The controls of sebum is very good. - The coverage is medium. - Only has a shade. I love it this product because the controls of sebum is excellent this product is not long lasting but looks very natural on my skin, and I must say that doesn´t looks cakey. The formula is very lighweight but the shade is nice because your face looks matte and perfect the problem is that is very white so you only need apply the quantity necesary. (*´ω`*) If you don´t want looks like a ghost please don´t apply to much. The cons about the color is that this doesn´t works for another skin tones and that is very annoying. The price was excellentlike april the price was around $6 with free shipping and many stores right now the price is around $9 very nice too. I recommend this product for people with very oily skin like mine and of course if you can use this shade. The coverage that is medium and the SPF 30 PA++ made me love more this product. Today four years ago I did my first post on my blog, I´m so exciting and happy! Today is the 4th anniversary of this blog! (｀･ω･´)ﾉ But I'm painfully because yesterday I underwent surgery to remove me my 4 wisdom teeth. Ironic no? Four years four wisdom teeth, but now (〃´o｀) I´m resting in home with my face swollen. But thanks to heaven now I´m free of that wisdom teeth because that caused me a lot of pain. ( ´△｀)♡ I feel happy because I had the opportunity to know beautiful people and grow like person too on this years. (艸∀<˘๑)*ﾔｧｰﾝ♡ I can´t forget to the haters either or the annoying copycats, but I don´t care because that people has sad life and I´m happy and amazing, like my sweet readers that always comment with they opinions, and we can exchange our opinions about topics or products and that is amazing.  And of Course I can´t forget to my bloggers friends (*´▽｀*) Are Amazing and I Love you to much too♡♡!! I will continue blogging for the next four years? And will be more years. 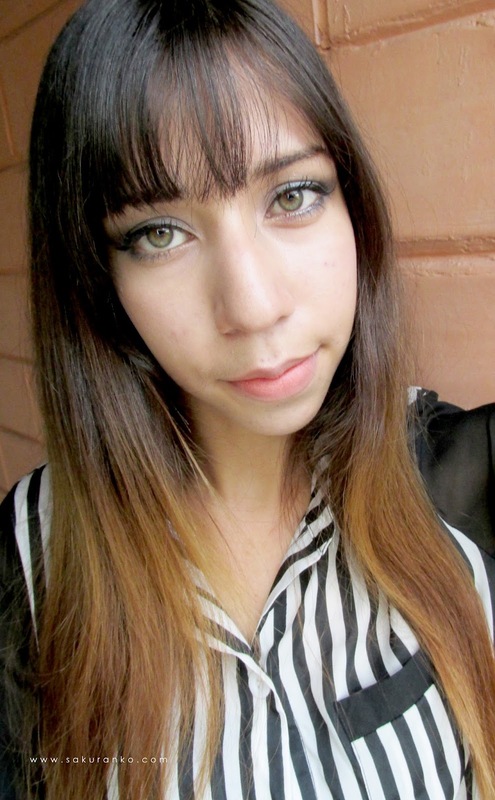 (*-`ω´-)９ I hope feel better soon because with this swollen face I can´t make videos or reviews~ After all I feel happy about this day I never think my blog growed to much. 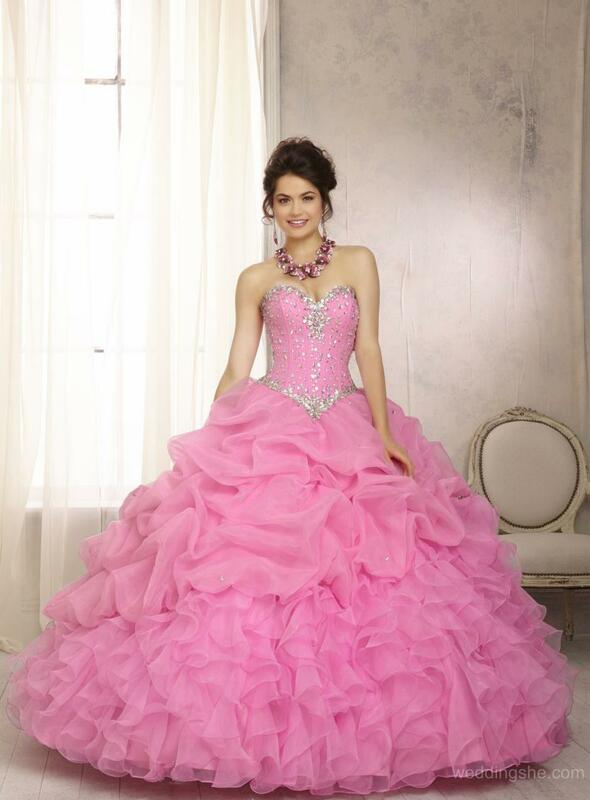 Who doesn´t love the quinceanera dresses? 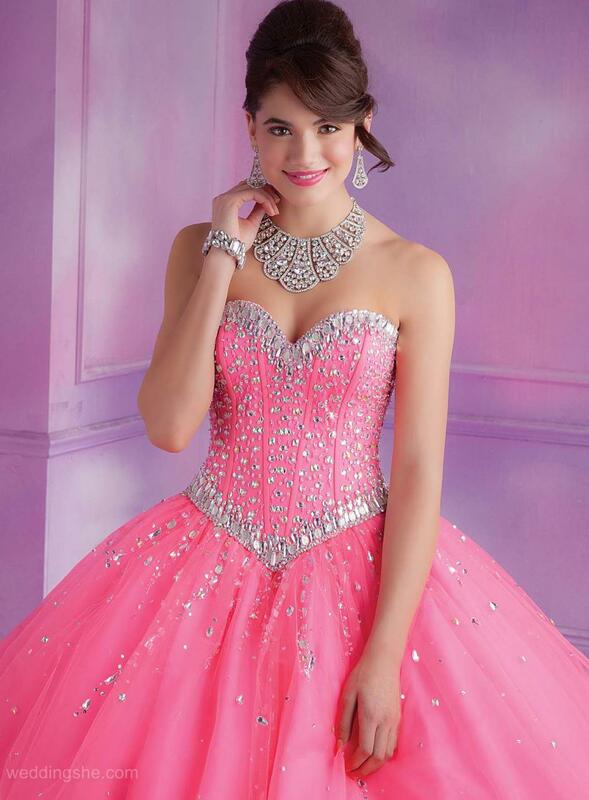 For me are all beautiful like you know my favorite color is the pink and see quinceanera dresses on pink is so beautiful like this dress on that pic is so wonderful. If you want see more amazing and beautiful and the attractive pink quinceanera dresses online I want invite you to this online store http://www.weddingshe.com/ and you can find there too affordable bridal dresses to wear to a wedding. All girl wants a lovely dress, the pink is for me the most lovely color. I hope you can find good and beautiful dresses. Obviously I can´t be a quinceanera but I know many of my readers are very young, and that website you can find prom and weddings dresses too and that is another reason because is a great store because you can find a huge variety of lovelies dreesses. You can find wedding dresses to very cheap prices and not many webstores you can find that, I hope this site can help you to have more options for choice.